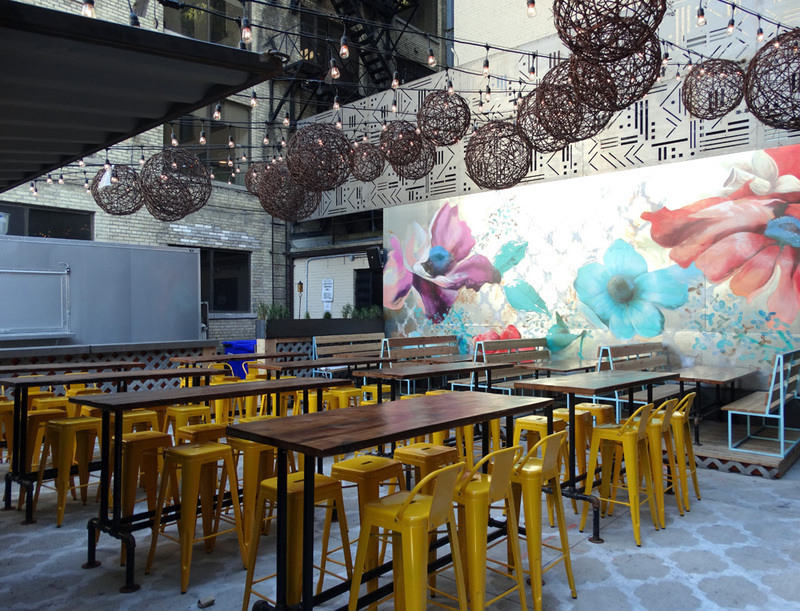 There is nothing like a great patio to bring you out of winter hibernation and into summer libations! And check out this newest gem on Pearl Street tucked in beside Theatre Park condos. When I first noticed it a couple of weeks ago, I thought it was a pop up patio (ie. only here for the season). 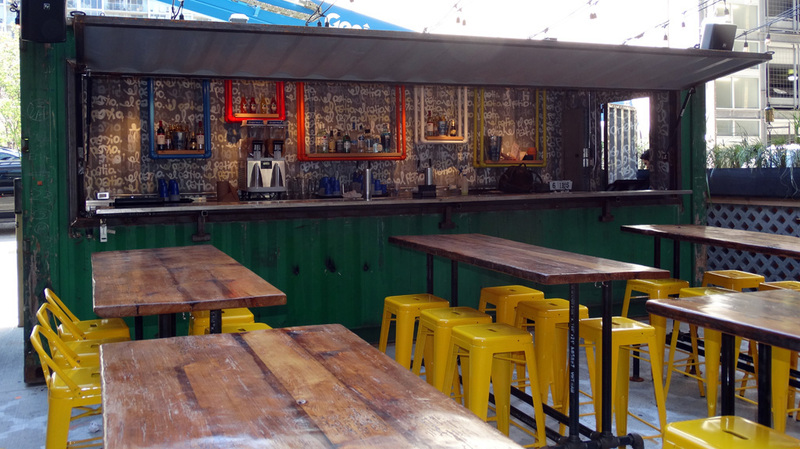 But it turns out it’s the patio for El Caballito, the tequila and tacos bar on King St. I love the design! 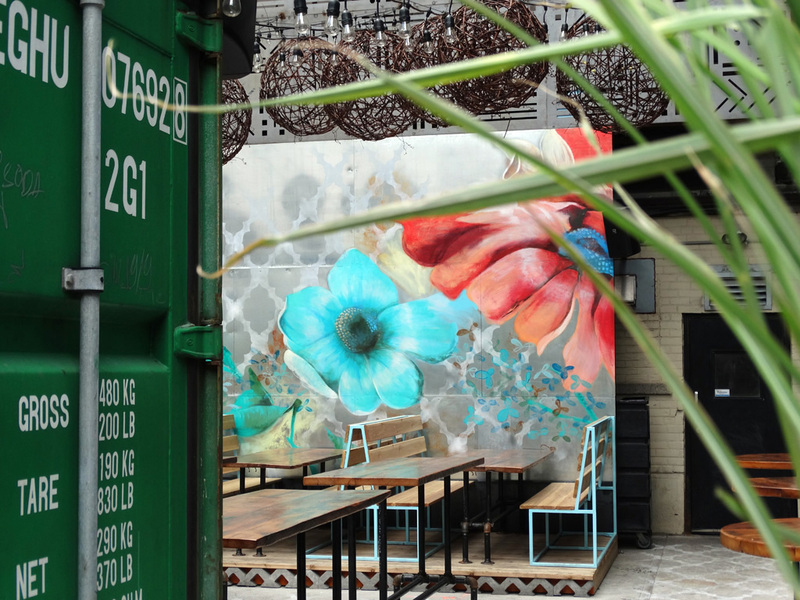 Not only is there a fantastic mural on the back wall and ethereal lighted canopy overhead to draw you in, but what I really love about it are the two shipping containers that they’ve used as the outer frame of the patio and that function as the bar and food truck serving the space. It’s a great effect! 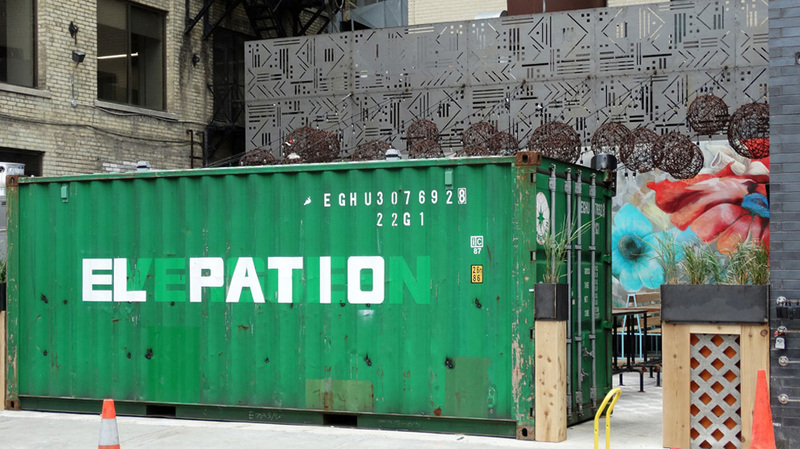 There’s enough space around the containers to see in and know that something cool is in there, but it blocks enough of the view from the street that you just want to go in and be part of it! And the great thing is you can enter the patio via Pearl Street…you don’t have to trek through the restaurant if you don’t want to. 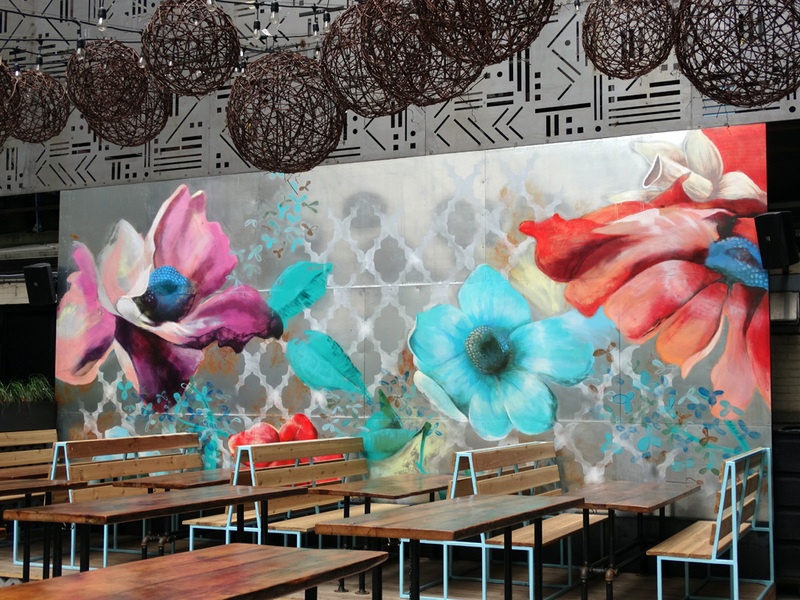 So if you’re in the Entertainment District and in the mood for a little tequila and street-style Mexican chow, check it out!